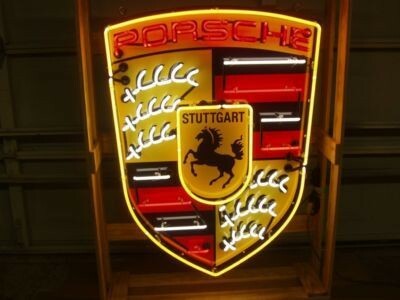 Measuring 45″ by 32″, this Porsche sign is a neon single sided porcelain sign. The neons light up in red, yellow, and white. The sign looks nice when lit up and is a great item to add to a collection.